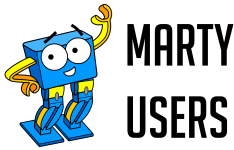 Learners will be introduced to the BBC Micro:Bit in this lesson pack as a device that we can program for use alongside Marty the Robot. This pack has a heavy focus on project based learning where students will build and develop a new project or game focusing on different features and functionalities of either Marty or the Micro:Bit. Using the Scratch 3 interface, students will see how different devices can interact and communicate with each other.